Getting all the required information by our GPS Tracking solution is as easy as clicking a button on your mobile, just login to our software and find out details. 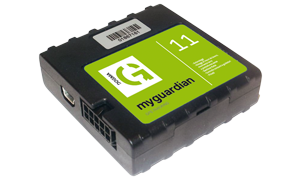 Dogma Guardian GPS Tracking device which gets installed in your vehicle, communicates with the tracking software and shares all the information with teh admin through SMS or Email. Our GPS tracking solution enables you to have proper control on your mobile fleet. The GPS device sends real time data back to the server which helps you to monitor location and other information on your dashboard. Or if you do not have time to login, our management software and satellite tracking MyGuardian device will send real time SMS and Email alerts about the exceeding speed, path, location etc. by alerts and SMS on real time or on-demand basis. The Alerts and SMS feature of our software will always keep you updated about the progress of your fleet. Not only this, if your vehicle is found over speeding or moving out of prescribed area, Alerts and SMS will inform you to take all the control of your fleet. If you are a Fleet Manager of your office and if any driver takes your staff vehicle to some unwanted place, the Alerts and SMS feature will certainly help you to stop any miss-happening to occur. Check out the Demo page to see our comprehensive reports. Get alerts and sms by GPS Sofware, boost up the productivity of your fleet and maximize your revenues with Dogma Guardian GPS Tracking Solution.